Whether you’re putting in an additional bathroom, remodeling your home or you’re having problems with your existing toilet, we can help. We offer a full range of toilet installation services, and we’re proud to be your Brooklyn plumbing company you can trust! Installing a toilet is a labor intensive and delicate task that is best left to the professionals. Toilets are fairly simple in concept, but improper installation can lead to a number of complications. When not properly installed, a toilet can cause excess water usage, leaks that could lead to structural damage, or it may simply not work. Whether it’s a fresh toilet installation in a new bathroom or you’re replacing an existing fixture that leaks, runs constantly or isn’t properly sealed to the floor, installing a toilet is a job that requires plumbing knowledge and the right supplies. 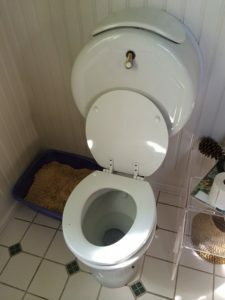 Whether you’re putting a toilet in a new bathroom, you’re remodeling your old bathroom or you’re you’re just tired of having to have your toilet fixed, consider investing in a high-efficiency toilet. Also known as low-flow toilets, these fixtures use considerably less water. We install the major brands of high efficiency toilets, including Toto, American Standard and Kohler. A standard toilet may use up to 7 gallons of water per flush, while today’s low-flow models use 1.6 gallons or less. This adds up to significant savings on your water bill and drastically reduces your impact on the environment. High-efficiency toilets come in a number of styles, making it possible to find one that perfectly suits your home and your preferences. From standard gravity-fed tank toilets to power-assisted models to efficiently remove all waste in a single flush, changing to a low-flow toilet definitely doesn’t mean you need to sacrifice options. 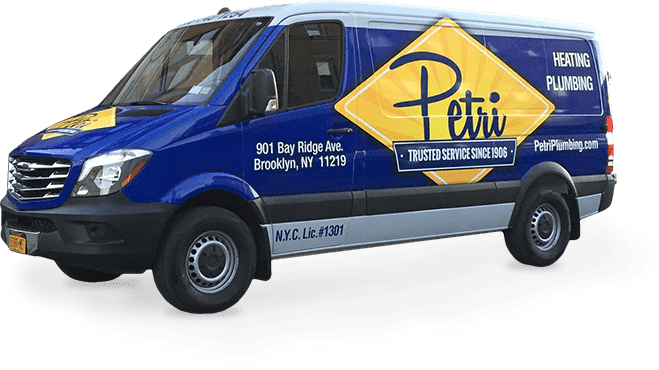 At Petri Plumbing, we’re proud to offer toilet installation services our customers can depend on. From helping you choose the style that’s right for your home to providing prompt, professional toilet installation, we’re here to help! Contact us today for plumbing services in Brooklyn.